As our Boys Bowling season came to an end over the weekend I want to send a couple shout outs to our bowlers. We had Regionals this past Saturday and the boys did phenomenal in their first ever Regional experience. As a team we placed 7th. Keep in mind, they take the top 4 teams to Sectionals. As individuals, they take the top 10 individuals that are not part of the 4 qualifying teams. With that, we had 4 individuals who missed making the top 10 by only 50 pins, which means 5 marks. Purley Williams (Bloom) placed 11th missing by only 3 pins. James LeBran (Trail) placed 17th missing by only 50 pins. Both John Little and James LeBran shot their highest games of the season. John shot a 221, and a 225, while James shot a 206! 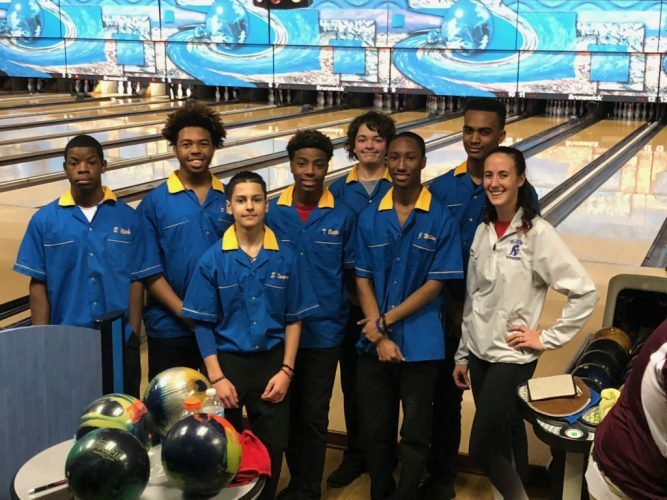 If you see any of these bowlers today in class or the hallways, please congratulate them on their success over the 1st ever Boys Bowling season!